Bauta mask is hand sculpted out of paper mache. 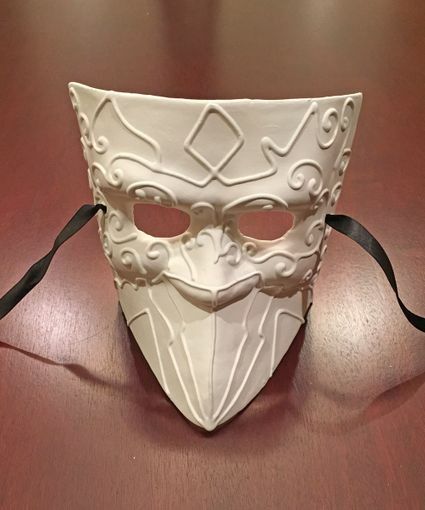 Mask has raised detail and is primed for painting. Mask comes with black ribbon ties.